I’ve already reviewed the Japanese version of Hatsune Miku: Project Diva X, when it was released on the PlayStation Vita some months back. Now, however, the game has been released on the PlayStation 4, and in English-speaking territories, and so I figured that I might as well take another look at it. Besides, it’s not like I’m going to turn down the chance to play a Miku game, now am I? Related reading: For an in-depth look at how the game plays, be sure to also read my review of the Japanese import of the game for PlayStation Vita. Just about everyone knows how much I love the Hatsune Miku games by now. Across the three on the PlayStation Vita, the 3DS one, the one on iPhone, and the PlayStation 3 and 4 titles, I have easily totalled a couple of thousand of hours of play time, and while I appreciate that that sounds ludicrous, it is testament to just how refined the gameplay is, and how appealing the characters are, that I find myself coming back to these games whenever I want to relax. Putting aside the games I play for review, the only titles I play for fun, for the most part, have had my green-haired angel in them. And that’s my fandom before I even talk about my Miku music CD collection (which occupies an entire shelf in a bookcase), and the more than two dozen figurines of her that I own. I’ll also be seeing Miku’s live concert for a second time this year in Japan. Obsession? Devotion? Whatever you want to call it, I find Miku absolutely fascinating, both as a subject of study, and as a character, mascot, and icon. When I play the Miku games, I’m playing as much because of that raw fascination for her as I am for the gameplay itself. Project Diva X is actually quite the risky project by SEGA, because it gives Miku and her five friends characterisation and personality. For the first time, in this game, the characters have dialogue and there’s a story to follow through. 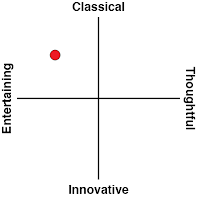 Simple as it is, this could easily be seen by a lot of Miku fans as SEGA really treading on toes. The entire appeal of Miku is that, as a character, she’s a blank slate, and can be whatever you want her to be. The reason she became popular at all is because Crypton – the company that created the Miku voice and character – opened up the creative license so that people are free to publish their own Miku music and fan art without needing to worry about rights infringement. The resulting explosion of content has driven virtually everything that you see and hear in Project Diva X. 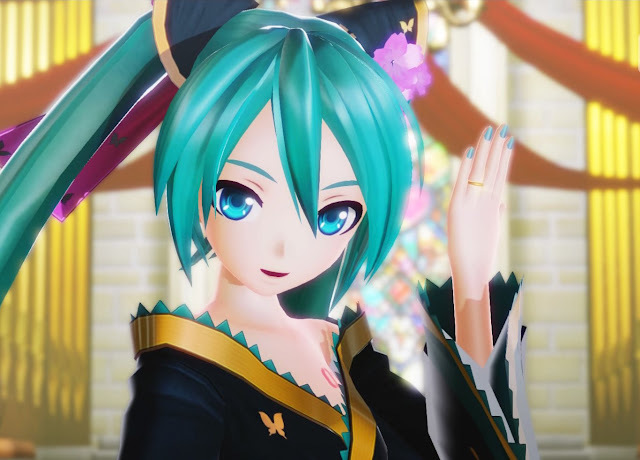 The costumes and music in the game were universally created by fans that have their own vision for this digital girl, benefiting from Crypton’s permission to do whatever they liked with her and her voice. So giving Miku a formal personality, which might be interpreted by some as an attempt to impose a canonical personality, is not going to gel with people who have a different vision of her to what’s in the game. I’m one of those, I must admit; my Miku is my own, and seeing her behave in a manner out of sorts with my concept of who Miku is a little jarring. It was one thing to be playing the Japanese version, where my Japanese is weak enough that I can tune it out and just cycle through the dialogue quickly. In English it’s harder to simply ignore, and consequently the narrative stuff in Project Diva X is the closest I’ve ever come to being disappointed in a Miku game. Mind you, Miku did call me her ‘hero’ at one stage. That was nice. I’m her Spiderman and she’s my Mary-Jane. The dialogue is light hearted enough stuff, and I think for less committed Miku fans that personality will make the characters more relatable in the short term. I don’t blame SEGA for wanting to reach a larger audience, and I want to see the popularity of Miku grow as much as anyone, so I’ll let it slide. It would be nice, though, if in the next game that story wasn’t presented as the “main” way of playing. I didn’t appreciate having to wade through it in order to unlock the tracks in the free play (story-less) mode. Related reading: What we can learn about economics from Hatsune Miku. Putting aside the narrative, the rhythm game itself is superb. Coming back to Project Diva X after dropping so many hours into the Japan-only Future Tone is initially jarring. With around 30 tracks, Project Diva X doesn’t have the same raw content as the other game (220-odd), but it doesn’t take long to get over that initial impression. For one, there is no crossover between the two track lists, so they are complementary to one another and any self-respecting fan of Miku would relish the opportunity to boost out their game by another 30 tracks. Further, Miku X’s more tailored track list is better balanced and has fewer duds than Future Tone. 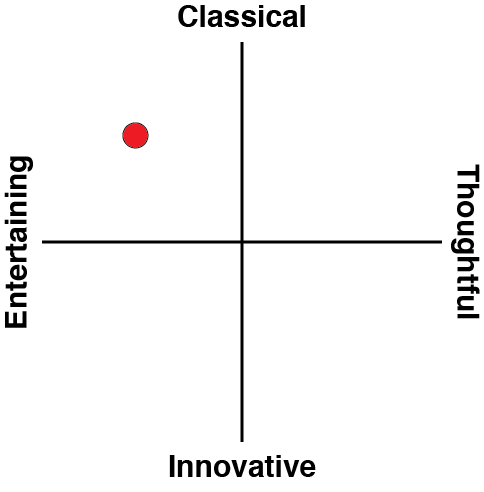 If I look at my list of favourites in Future Tone – the tracks I tend to play over and over again – there’s only around 40, and I don’t think Project Diva X has any true duds, so on that comparative basis the two are close. 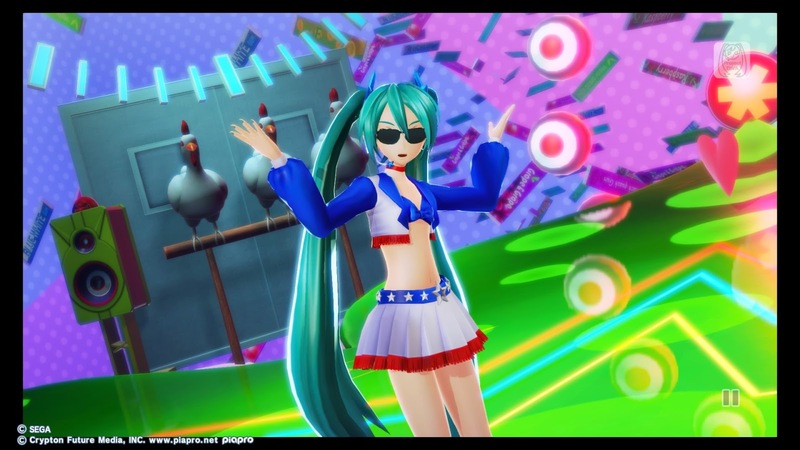 Project Diva X also has medleys, which Future Tone does not have, and these are truly awesome fun. Each medley works through snippets of a couple of the most popular Miku music tracks, that transition smoothly from one to the next. These have a really good fun dance party vibe to them, and are perfectly suited to the rhythm game format. In fact, playing these took me back to my time as a kid at university, when I would tune in to the Friday party mixes on the radio in my drive home after a long week, and it was the perfect way to unwind. If you haven’t played one of these games before, it takes about twenty seconds to learn how to. Icons appear on the screen, in time with the music, and other icons float in from off-screen towards the former set of icons. All you need to do to play is press the corresponding button at the right time when both icons match up perfectly. Meanwhile, in the background, a music video performs, with Miku, or one of the other five vocaloids, dancing and singing. This can be distracting if you let it, though with time you’ll learn to tune it out. As with all Miku games, there’s plenty of challenge there if you’re looking to get perfect scores on the higher difficulty levels. Easy is the best place to start for beginners, because otherwise Diva X can get very, very frustrating. I promise you; if you’re not experienced at Miku games, you will find the challenge intimidating. However, experienced players won’t even bother with easy difficulty, or perhaps even normal. The further up the difficulty scale you work, the more reflective the rhythm game button presses are of the music track itself. So on those higher difficulty settings, you will be challenged, but your fingers will also be dancing across the controller, and it’s so very satisfying when you finally nail that perfect after dozens of attempts. The PlayStation 4 release offers a vastly improved visual style in comparison to the PlayStation Vita release, as you would expect. And this upgrade is important to these games. Character models are much more detailed and therefore much more screenshotable, and this game features some of the most gorgeous unlocakable costumes for the characters. To me, half the fun of a Miku game is playing dress up with the characters and then simply watching the video clips without the rhythm game action (there’s a “watch only” option so you can focus on the clips rather than the rhythm icons). Of course, you only start out with the default costume for your characters, and need to unlock the rest. In other Miku games this unlocking process has been arbitrary and based on in-game achievements. In Diva X, the process of earning new costumes is a fun gameplay feature. In each music track there’s a specific section where, if you perform well enough, your character will switch costumes mid-track to something different, and from that point you’ll be able to select the costume from the changing room menu. Related reading: Matt has a massive, 4,500-word review of Future Tone on the PlayStation 4 - the alternative to this game, if you're willing to download off the Japanese PSN. There is DLC that is available with the game, and I’ll be covering that in a future article (because that gives me an excuse to write about Miku some more). But I suggest – no, beg - that you don’t purchase the DLC that unlocks all the costumes from the outset. The desire to do so will be compelling in the early stages – especially if you know there’s a costume you really want and just can’t get (swimsuits! ), but so much of the medium-term longevity of the game is in earning those costumes, before you finally transition to the competitive long-term goal-driven play where you gun for perfect scores on hard and extreme mode. Without that medium-term hook of costume unlocks keeping you keen, it can feel like progress through the game slows to a crawl, and it can be easy to give up at that point. While Hatsune Miku: Project Diva X isn’t as brilliant as Future Tone, nothing is, and the core rhythm game action is faultless. An inspiring, entertaining soundtrack, coupled with stunning characters, costumes, and choreography makes this essential. Not just for Miku fans, but for anyone who enjoys fun. And you enjoy fun, right?